Learn how to better understand and fully engage your audience and potential prospects. 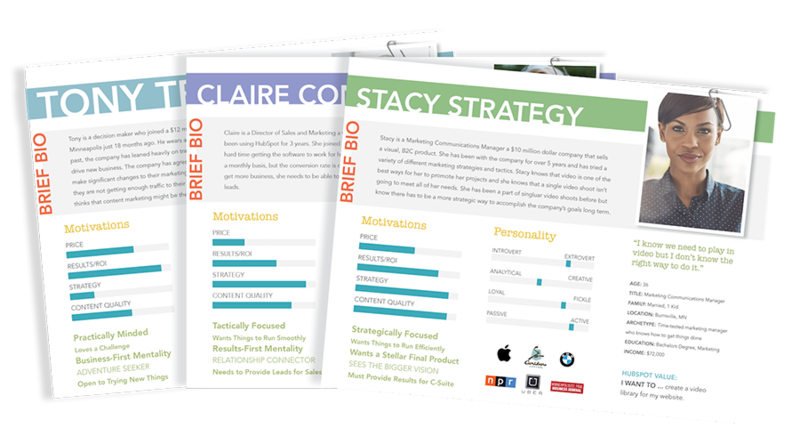 Does your company have buyer personas you actually use to guide your marketing strategy? StoryTeller’s Marketing Manager, Britt Laeger walks you through the steps to get beyond job title and household income and find out what really matters to your prospects. In this 45-minute webinar recording, we’ll teach you how to convert more leads by aligning content to your customers' pain points and motivations. StoryTeller provides affordable video production services for businesses in Minnesota and beyond! Our award-winning team is made up of TV news veterans, who understand what it takes to create a powerful story through video. We'll help tell your story using a genuine, documentary-style approach — the videos we produce aren't commercials. They're visual representations of your organization, free from corporate gobbledygook.